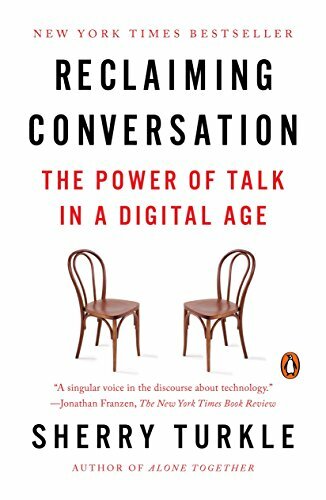 9781594205552 | Penguin Pr, October 6, 2015, cover price $27.95 | About this edition: Renowned media scholar Sherry Turkle investigates how a flight from conversation undermines our relationships, creativity, and productivity—and why reclaiming face-to-face conversation can help us regain lost ground. 9780143109792 | Reprint edition (Penguin USA, October 4, 2016), cover price $17.00 | About this edition: Renowned media scholar Sherry Turkle investigates how a flight from conversation undermines our relationships, creativity, and productivity—and why reclaiming face-to-face conversation can help us regain lost ground. 9780147526199 | Unabridged edition (Penguin/Highbridge, October 6, 2015), cover price $45.00 | About this edition: Renowned media scholar Sherry Turkle investigates how a flight from conversation undermines our relationships, creativity, and productivity—and why reclaiming face-to-face conversation can help us regain lost ground. 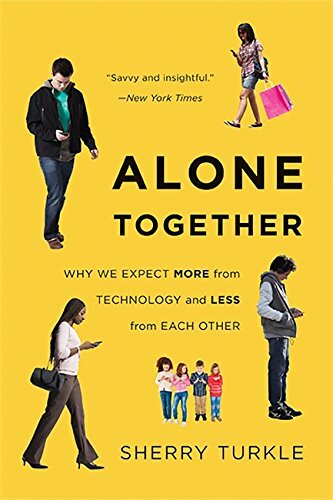 9780465031467 | Basic Books, October 2, 2012, cover price $17.99 | About this edition: A groundbreaking book by one of the most important thinkers of our time shows how technology is warping our social lives and our inner ones Technology has become the architect of our intimacies. 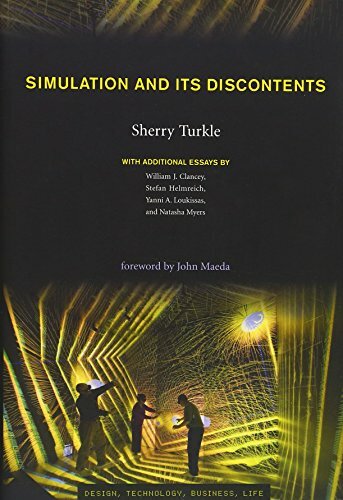 9780262012706 | 1 edition (Mit Pr, May 29, 2009), cover price $26.95 | About this edition: How the simulation and visualization technologies so pervasive in science, engineering, and design have changed our way of seeing the world. 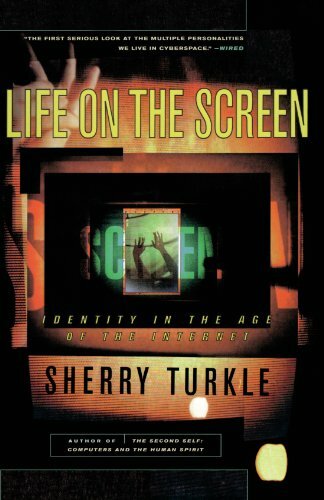 9780262201766 | Mit Pr, October 31, 2008, cover price $25.95 | About this edition: For more than two decades, in such landmark studies as The Second Self and Life on the Screen, Sherry Turkle has challenged our collective imagination with her insights about how technology enters our private worlds. 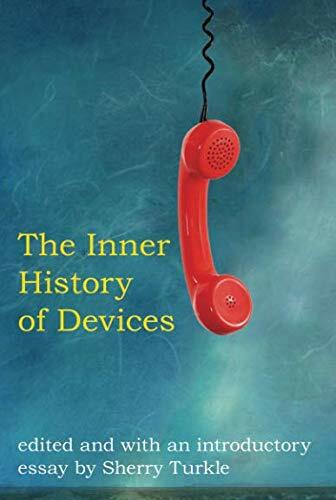 9780262516754 | Mit Pr, September 30, 2011, cover price $16.95 | About this edition: Memoir, clinical writings, and ethnography inform new perspectives on the experience of technology; personal stories illuminate how technology enters the inner life. Product Description: Passion for objects and love for science: scientists and students reflect on how objects fired their scientific imaginations. 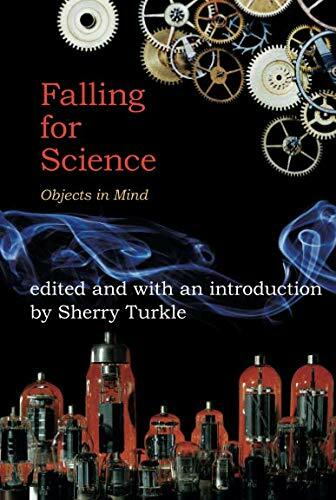 9780262201728 | Mit Pr, May 30, 2008, cover price $28.95 | About this edition: edited and with an introduction by Sherry Turkle [as per Sherry]"This is a book about science, technology, and love," writes Sherry Turkle. 9780262516761 | Mit Pr, September 30, 2011, cover price $15.95 | About this edition: Passion for objects and love for science: scientists and students reflect on how objects fired their scientific imaginations. 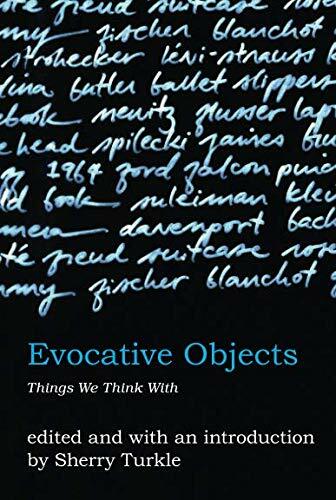 9780262201681 | Mit Pr, August 31, 2007, cover price $28.95 | About this edition: For Sherry Turkle, "We think with the objects we love; we love the objects we think with. 9780262516778 | Reprint edition (Mit Pr, September 30, 2011), cover price $18.95 | About this edition: Autobiographical essays, framed by two interpretive essays by the editor, describe the power of an object to evoke emotion and provoke thought: reflections on a cello, a laptop computer, a 1964 Ford Falcon, an apple, a mummy in a museum, and other "things-to-think-with. 9780262701112 | 20 anv edition (Mit Pr, July 1, 2005), cover price $32.00 | About this edition: A new edition of the classic primer in the psychology of computation, with a new introduction, a new epilogue, and extensive notes added to the original text. 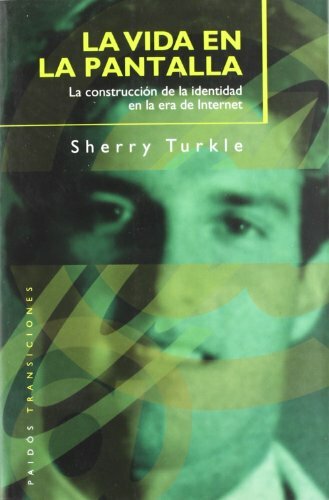 9788449304613, titled "La vida en la pantalla / Life on The Screen: La construccion de la identidad en la era de Internet/ Identity in the Age of the Internet" | Italian edition edition (Paidos Iberica Ediciones S A, November 18, 1997), cover price $51.95 | About this edition: Cuando, hace algunos años, Sherry Turkle publicó su libro The Second Self: Computers and the Human Spirit, hoy en día un clásico en la materia, nadie podía imaginar aún el espectacular cambio que iba a producirse en la forma en que concebimos y utilizamos los ordenadores. 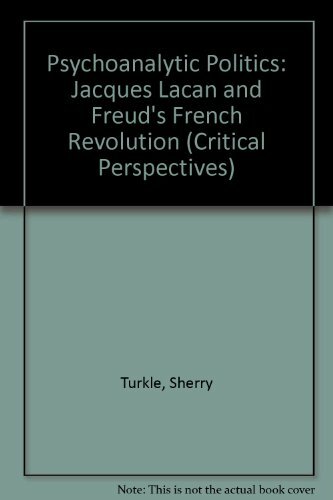 Product Description: 'Dynasty 1991', provides a portrayal of the last years of Lacan's life and the events that unfolded in the years following his death in 1981. 9780898627695 | 2 sub edition (Guilford Pubn, December 1, 1992), cover price $42.00 | About this edition: 'Dynasty 1991', provides a portrayal of the last years of Lacan's life and the events that unfolded in the years following his death in 1981. 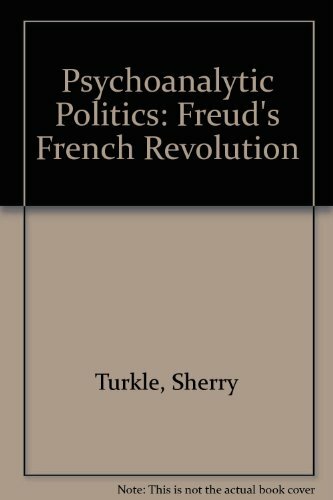 9780898624748 | 2 edition (Guilford Pubn, March 1, 1992), cover price $18.95 | About this edition: Freud prophesied in 1914 that the final decisive battle' for psychoanalysis would take place where the greatest resistance [had] been displayed.